XBMC is available for Linux, OSX, and Windows. 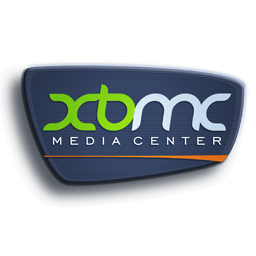 Created in 2003 by a group of like minded programmers, XBMC is a non-profit project run and developed by volunteers located around the world. More than 50 software developers have contributed to XBMC, and 100-plus translators have worked to expand its reach, making it available in more than 30 languages. It is difficult to put into words all that XBMC can do, head to the gallery to see some examples, or take the plunge and download it today. The dark night of waiting is finally over. Because here it is. The stable release of XBMC 13.0 Gotham edition. It has been months of hard work, improvements and testing since the 12.x releases. There have been around 530 commits (chunks of code change) done by 51 developers during this time. Also a large group of translators who aided in making the user interface available in your local language. So we would like to thank every one, inside and outside of Team XBMC for their hard work and effort to make this possible. Not to forget all users who have been using the monthly and nightly builds, helping us test this upcoming release, and all third-party software libraries we use. The past year we have kept you informed with our monthly blog posts of all the exciting new features added to this final release. Now, let’s review a few of those features we’re particularly excited about. Since 2012 July 12, the single most requested feature has been hardware decoding in Android, and with XBMC 13 we are finally able to make that feature a reality. XBMC should run on Android 4.0 and higher and is offered now in two separate builds, namely ARM and x86, which are the hardware architectures of the device. You would need to consult your device specifications before you download XBMC for Android, though the vast majority of Android devices run on ARM hardware. Since the release of Frodo a lot of effort has been put into getting XBMC to run smoother on lower powered platform like the famous Raspberry Pi and of course Android. All this effort has paid off and the experience of using these devices has become much more polished and satisfying than ever before. In particular, opening your libraries, browsing through them, loading images and starting videos have all seen dramatic speed increases. XBMC on touchscreens now supports gesture controls during video playback, as well as supporting swiping controls in navigation. gotham-upnpplayusingInstances of XBMC throughout the house can now “speak” with each other and with other UPnP devices. Support now includes more advanced library browsing as well as “Play using…” functions, allowing XBMC to tell another device on the network to play a certain media file. So you can browse the UPnP library on your tablet and send a video from that library straight to you main XBMC HTPC, similar to Apple’s Airplay and Google’s casting features. Additionally when watching videos from the XBMC UPnP server, watch status will be updated so you don’t have to remember what shows you’ve already watched. The Audio Engine introduced with XBMC 12.0 “Frodo” has been reworked to be simpler, faster, with better quality and less likelihood of breaking in XBMC 13 across all platforms. You may also notice that some users will need to reconfigure their audio settings. This is caused by the audio improvements and restructuring of the settings systems. However this should be more intuitive and user friendly than it was in XBMC 12 thanks to improvements in Settings. On Linux there is additional good news for Desktop users who don’t use XBMC as a standalone HTPC through OpenELEC or XBMCbuntu. XBMC will now cooperate nicely with the pulseaudio server and will provide real pulseaudio support. This is a behavior change, make sure to read the PulseAudio XBMC wiki page to learn more. From the user perspective, three major changes will be introduced that should dramatically improve usability in XBMC settings. First, settings have been broken down into levels starting at beginner and going all the way up the scale to expert level. The typical XBMC user should never need to go very far past the Standard settings. If installing XBMC for friends or family, it is highly encouraged that you move the settings down to Beginner level. And if a setting has disappeared that you typically expect to see, definitely browse through the settings levels, as it likely has been hidden on a more advanced level. Second, every setting now includes a description, which may be found at the bottom of the settings page on the default Confluence skin. If a setting title is odd or is otherwise confusing, this description is intended to clear up the purpose of the setting and the result of changing it. Third, every setting page now includes a Reset to Default option so that if you find yourself completely unable to return to a usable state in XBMC, you can always start fresh without having to perform a complete reinstall. Importantly, resetting one group of settings to default does not affect any others. So if you have video settings just right, but audio is screwed up, you can reset audio without affecting video. This change should give subtitle add-on developers a great deal more latitude for implementing changes and fixes without needing to wait for other add-on devs to submit similar fixes, all to the benefit of the user experience. From the user perspective, the only significant change will be in the way a subtitle search service is downloaded. The user will need to select and download their preferred subtitle add-on before starting a movie and searching for subtitles. At present there are 19 to choose from. While this feature may not be as immediately noticeable upon install, it could ultimately be one of the most important changes of XBMC 13. With the extension of the API, users should soon be able to control virtually every aspect of XBMC without once touching the XBMC UI. Developers will now have unprecedented opportunity to make even more powerful remote control apps, web GUIs, and XBMC add-ons. For example, with the Official XBMC Remote for iOS users can now configure every single setting in XBMC without once opening the settings window in XBMC itself. We look forward to the community taking advantage of this extended API and creating some extraordinary features in the future. Various visual changes throughout the skin which should improve usability and logic. Extend and improve the User-interface Engine which developers use to create a variety of skins to be used. Drop of support for Windows XP. Due to upgrades in the way we build XBMC, it is no longer possible to install or run XBMC on Windows XP. For current XP users we can suggest installing OpenELEC or XBMCbuntu as a free way to use XBMC 13 as a pure media centre. Not all skins from Frodo are guaranteed to work on Gotham. The following is a list of skins that have been checked for 13.0 compatibility and are currently in the XBMC skin repo.